From Millennials to Generation X, Y and even Z, there’s a veritable alphabet of entrepreneurs of all ages out there looking for advice on how to buy a business. Career options have evolved far beyond landing a job within a company straight after education, working for someone else and staying on that route for decades. Between enterprising and optimistic younger generations keen to invest, open-minded ‘portfolio career’ types, and mid-life lane-changers – there’s a huge number of buyers out there looking for businesses to buy. What a stroke of divine timing, then, that this coincides with the plethora of business owners who are so-called ‘Baby Boomers’, soon to reach retirement age if they haven’t already. When seeking new opportunities, some entrepreneurs overlook established businesses as an option, but it can be just as much of an exciting venture as creating a start-up or nurturing a grassroots project – with potentially less risk. Minimal upfront costs – you’re buying a ready-made brand, customer-base, management policies and other valuable aspects that usually take years to build. Low risk – with most of the necessary business foundations in place, there will be very little groundwork to be done and the business will have likely proven it provides a healthy return on investment. Established cash flow – an existing steady cash flow eliminates the scramble of starting from scratch. It’s likely there will already be equipment and employees available, so there will be no lapse in revenue when jumping in. Look for businesses that have implemented an exit strategy: when you’re scouting out potential businesses for sale, go for those who have prepared for the event with the assistance of a professional adviser. There’s a much higher chance the business will be ‘sale ready’, making it much easier to facilitate a transaction. Processes and accounts will have been evaluated, due diligence will have been followed and documentation will be in order. Taking on a business of any kind is a brave move and this essential groundwork will put you in a stronger position going forward. 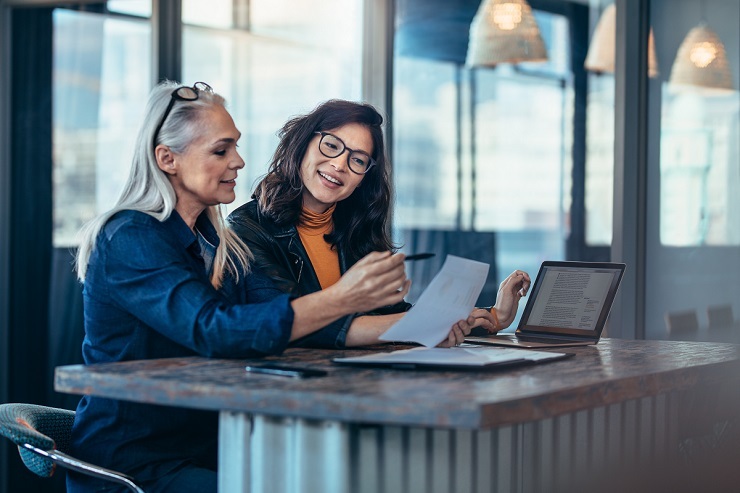 Engage with your seller’s advisers: smart business owners don’t tackle the complicated process of selling a business alone because they understand the value of using a skilled expert to get the best results. A streamlined sale for them means an easier handover to you, so work with their advisers for a mutually-beneficial outcome (this usually reduces timeframes too). Patience pays: most owners won’t have sold a business before, so they may be cautious. Retirement is a huge and emotionally-loaded milestone in the lives of many people, especially those who’ve invested so much time, energy and money into their own business. They might not have a successor so it can feel like they’re handing the business down to you. Don’t rush them during this sensitive process as it could damage the relationship and jeopardise the acquisition. Play fair: the negotiation process is arguably the most challenging stage of the sale. The intricate details take time and care to discuss and resolve, so don’t lead your seller and their advisers down the garden path if you’re not serious about buying the business. …and when it comes to talking process, never make a ridiculously low offer. This is a business you’re interested in taking to the next level, so show you know what it’s worth and that you’re willing to pay a reasonable price for it. Consider continuity: as we’ve said, one of the main advantages of buying a business from a Baby Boomer is that you’re buying a ready-made company. If you’re going to take on the existing staff and premises, discuss with your seller how they (and their management team) can help you maintain continuity by sticking around in the short, medium or even long term as the business changes ownership. Although it may be tempting to bring in a team of new managers or move premises, losing staff might impact the value of the business you’ve worked so hard to acquire. With existing employees comes a working knowledge of the company – and that’s worth its weight in gold.